Showcase your t-shirt designs or promote brand by getting this Free Girl Wearing Black T-Shirt Mock-up Psd. 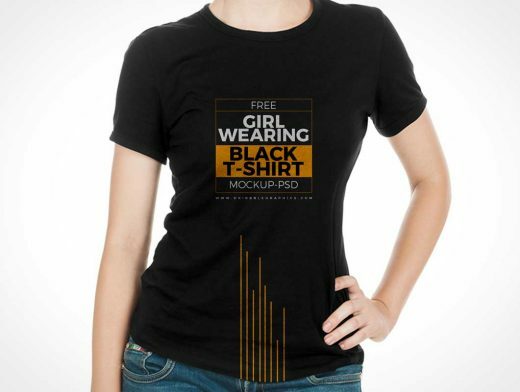 This mock-up is designed in Psd format. Get the flawless result for your designs by placing your design in smart-layer.